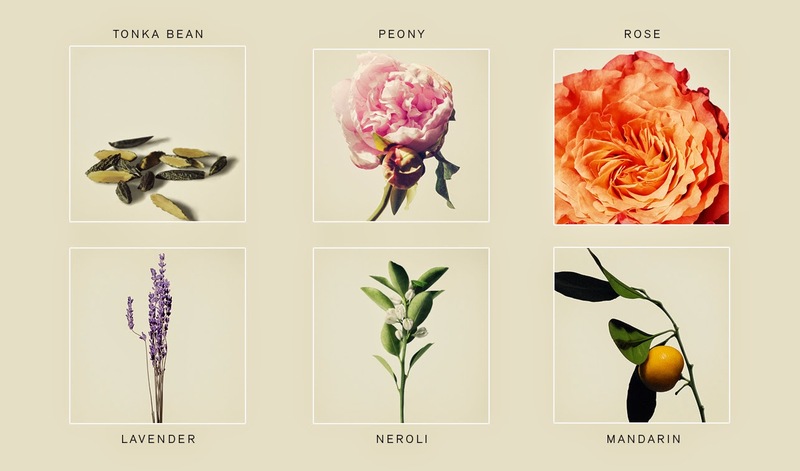 Bottega Veneta has launched 'Knot', a new fragrance for women, in partnership with Coty Prestige. Bottega Veneta's Creative Director, Tomas Maier worked in close collaboration with renowned perfumer Daniela Andrier and the result is an exquisite, luxurious fragrance, inspired by the Italian Riviera. Tomas Maier’s vision for Bottega Veneta’s new fragrance, Knot, conjures an escape to the Italian Riviera. Situated in the lush hills there is a home, a sanctuary from reality, overlooking the sparkling sea. The interior is illuminated by sunlight streaming in through its windows, which are open wide, ushering in a bracing saltwater breeze tinged with the scent of peonies from the garden and the redolence of clementine trees from the hills nearby and afar, combined with the essence of freshly laundered linens. In the bedroom sits a woman, captured in the moment, savoring both time and place. This vision elicits a distinct memory fusing certain particularities not soon to be forgotten, an instant where you are transported for as long as you allow. The sourcing of only the most extraordinary raw materials was the vital starting point for Knot, in accordance with Bottega Veneta’s abiding dedication to quality and craftsmanship. It was master perfumer Daniela Andrier’s task to translate Tomas Maier’s vision of a meditative seaside interlude into a unique olfactive experience evoking the essence of the Italian coastline, precisely illustrating the elements into different accords. First impressions are shaped by an exotic and bright Clementine Tree accord, based on mandarin, limette, neroli and orange flower. At the fragrance’s heart are intense notes of lavender, a key aspect and unusual addition that lends to the uniqueness of the fragrance, gesturing toward the green hills, and the sense of crispness reminiscent of freshly laundered linens within an Italian seaside home. Rich floral notes of rose and peony provide lush sensuality, while musk and Tonka bean serve as a counterpoint to the fruity notes while embuing a lingering texture and earthiness. All together, the bright, floral fragrance is meticulously layered to offer an unexpected, delightful experience; an identity of its own, that is destined to leave a lasting memory. As with Bottega Veneta’s signature fragrance, the Knot’s bottle is inspired by Venetian glasswork and the traditional Italian carafe, having naturally evolved unto itself. Combining soft, rounded curves and powerful lines, the bottle is an object of timeless beauty and pleasing simplicity. 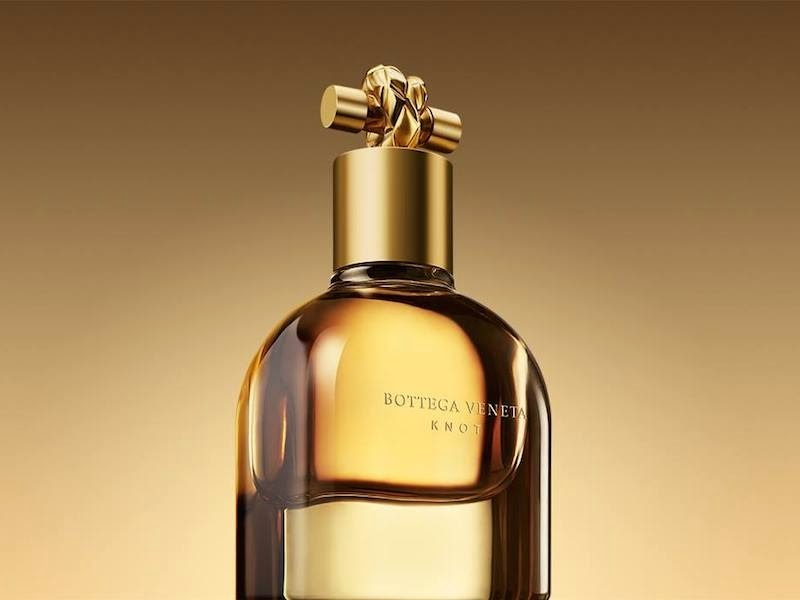 The bottle’s oro matte cap is its most distinctive design element; as the fragrance’s name is anhomage to Bottega Veneta’s beloved Knot clutch, Tomas Maier designed the cap to echo the bag’s iconic knot-shaped closure. The result is a vessel with the luxurious feel of the finest of jewelry. Continuing Bottega Veneta’s tradition of creative collaboration in producing the brand’s advertising campaigns, Tomas Maier turned to American photographer David Armstrong to capture the understated sensuality of Knot. Shot on location in New York City, the campaign reflects Armstrong’s distinctive approach to portraiture. His painterly, naturally-lit images of model Julia Nobis, the face of the Knot campaign, are simultaneously reserved and intimate, and convey a mood of timelessness. Her beauty is multi-layered and in photographs she exudes a soulful, womanly quality that is strong yet vulnerable. She possesses an innate allure and restraint that Tomas Maier felt was harmonious with the spirit of Bottega Veneta and the embodiment of Knot. Discretion, quality, and unsurpassed craftsmanship -- Bottega Veneta has established a new standard of luxury since its founding in Vicenza in 1966. Steeped in the traditions of Italy’s master leather craftsmen and renowned for its extraordinary leather goods, Bottega Veneta stands for individuality and self confidence, a philosophy expressed in its famous motto, “When your own initials are enough.” The principles that define the brand are unchanging: outstanding craftsmanship, innovative design, contemporary functionality, and the highest quality materials. Also constant is Bottega Veneta’s commitment to its ateliers, where artisans of remarkable skill combine traditional mastery with breathtaking innovation. Indeed, there is an unusual and inspired collaboration between artisan and designer at the heart of Bottega Veneta’s approach to luxury, a partnership perfectly symbolized by the house’s signature intrecciato woven leather. Tomas Maier joined Bottega Veneta as Creative Director in June 2001. With long experience at the highest levels of fashion and design, he arrived hoping to spark a renaissance at the venerable Italian brand. He succeeded beyond imagination. Committed to craftsmanship,understatement, and refinement, Maier began by drawing upon the deep bench of artisanal talent in Vicenza to craft leather goods of unmatched quality. In the years since, he has established Bottega Veneta as one of the world’s top luxury goods houses, consistently matching exceptional work manship to timeless design, tradition to innovation. Following the launch of the signature women’s and men’s fragrances, Maier, together again with the experts at Coty Prestige, has turned his attention to fragrance, the most understated and memorable of luxury goods, this time to create a luxurious new fragrance for women. The result is again beyond imagination. Bottega Veneta Knot is available in 30ml, 50ml and 75ml Eau de Parfum and matching body products: body lotion, shower gel and body cream.